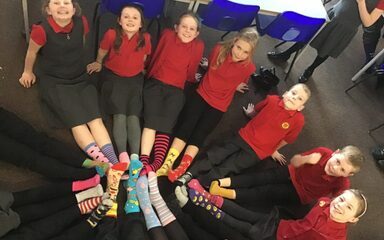 Today St Oswald’s took part in Lots of Socks day. 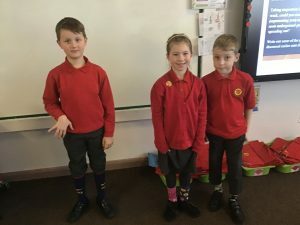 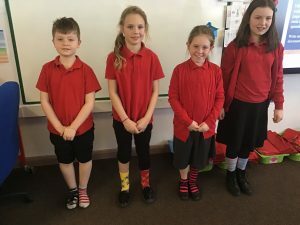 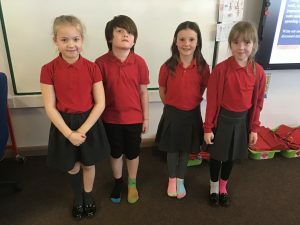 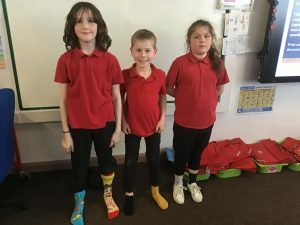 We all wore odd / funny socks at school and made donations to charity. 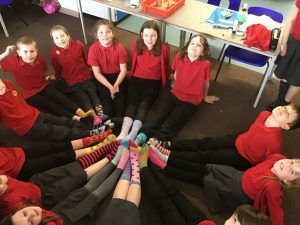 Lots of socks is a fun initiative in the lead up to Down Syndrome Awareness Day on 21st March every year. 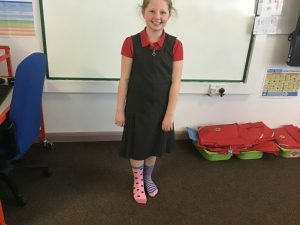 Why socks? 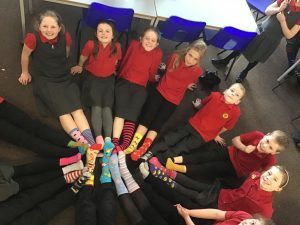 Well, because chromosomes look like socks and people with Down syndrome have an extra chromosome! 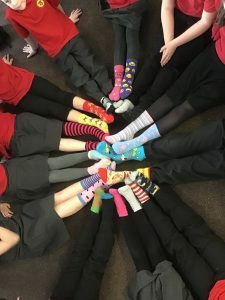 “Lots of Socks” is acknowledged around the world as being associated with Down syndrome.